Richardson, TX — October 9, 2017 — The newly updated version 15.7 of Projectmates will offer two-factor authentication, many mobile enhancements, and role-based schedule/action lists. Projectmates is innovating new ways to secure data and make project management for construction projects more transparent and straightforward. Two-factor authentication or "2FA" is an essential security feature for executive team members who are approving items. Adding another layer of security for enterprise level clients was the foremost concern in the recent wake of security breaches targeting financial institutions. 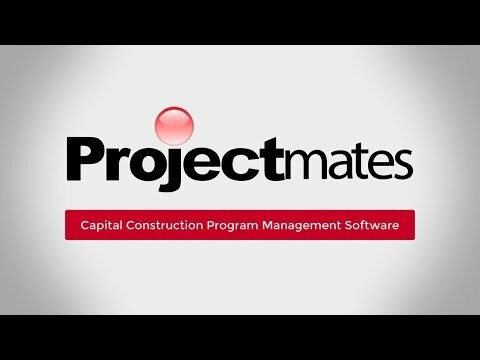 Projectmates is advancing construction software with two-factor authentication, also known as, "multi-factor authentication" and requires both a password and additional information only the authorized user has access to. By leveraging 2FA, the instances of identity theft or a rogue intruder decreases immensely. Projectmates is SOC 1 and SOC 2 Type II compliant, holding a long-standing tradition and corporate belief to ensure client data security and integrity. Projectmates routinely goes through complete eight-month strict evaluation processes to maintain SOC 2 Type II compliance and is continually looking at the future and what security measures should be employed at the client's discretion. We have to be completely aware of technological trends on the horizon so that we can continue to bring the best product to our clients."